Every year during apple season, I make an apple halva. But why I've never tried to freeze halva before is beyond me and I'm glad, that I finally did! Did I mention that this dessert has a little bit of booze in it? This halva started off with a batch of ripe Fuji apples. I like these apples because they are great to bake with, they're sweet but not too tart like the Granny Smith kind. 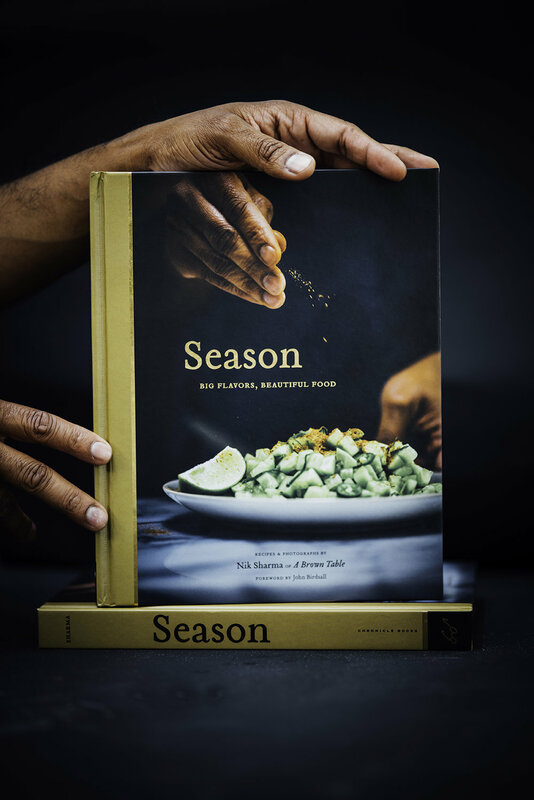 Now, let's get to the best part, two of my favorite ingredients that are quintessential to many Indian recipes, green cardamom and saffron. 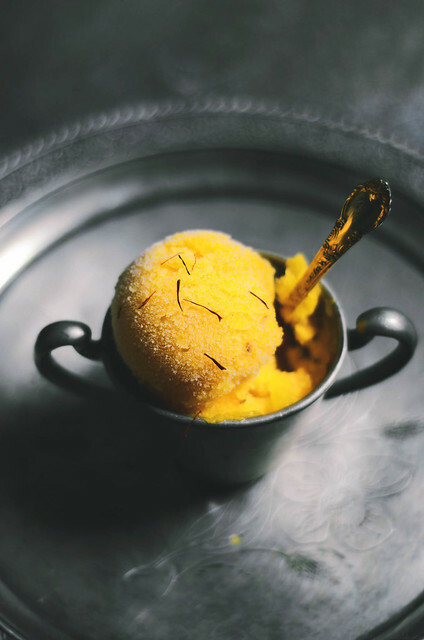 You already know about my love for green cardamom, I call it the "vanilla of Indian desserts" but saffron, saffron is special too! 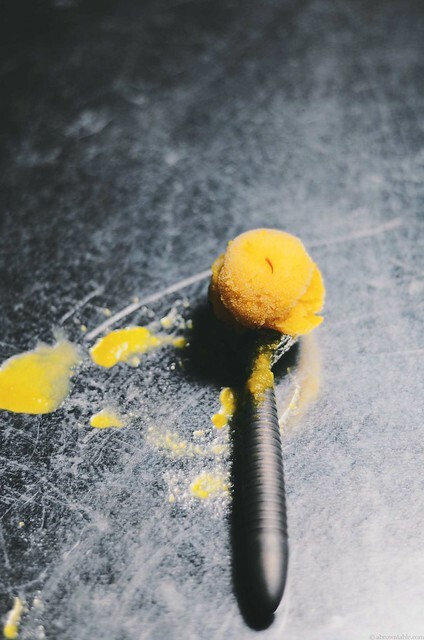 Those little thin threads that can with so much power when it comes to color and flavor. 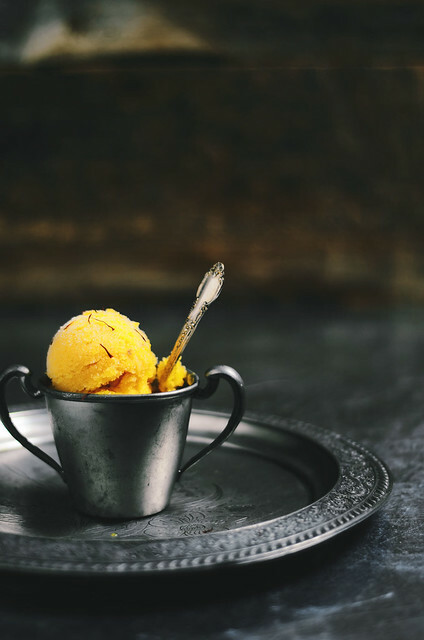 Saffron is expensive to begin with but I'm always a little hesitant about using saffron powders because they can be adulterated with coloring agents and chemicals. When, I buy saffron I always buy the threads and pick it up from the Indian or Middle Eastern grocery stores. They are generally a little cheaper at these grocery stores and I prefer the color and flavor of the Persian and Kashmiri (Indian) saffron to the other types because they give a more robust color and flavor. Here are some of my tips when making this frozen halva. When you work with the apples be quick, as soon as they are peeled and exposed to air they will start to brown. As soon as the fruit is prepared, coat them in fresh lemon juice as soon. 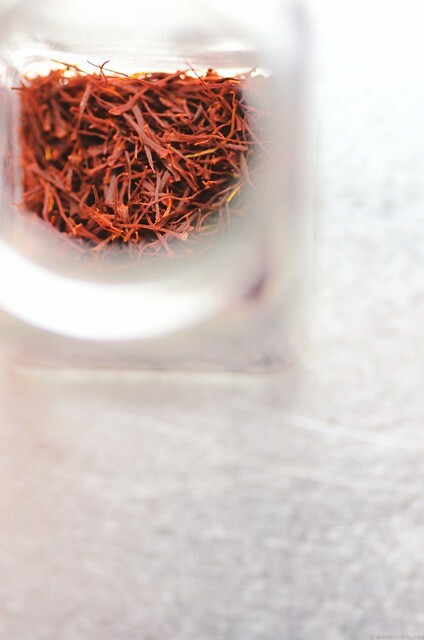 There is also no need to soak the saffron in hot water because the threads will infuse and release their color as soon as the liquids in the baking pan heat up. This boozy part of this recipe calls for a sweet rosé. If you want to keep this non-alcoholic use apple juice that is not flavored with any spices. But don't use apple cider because cider is generally spiced and it will change the flavor of this dessert. I was tempted to label this dessert a sorbet but it retains the apple fruit texture and it just didn't feel right to drop it in that category. 1. Place a wire rack in the center of the oven and preheat to 350F. 2. Peel, core and dice the apples. Place them in an oven-safe baking dish quickly sprinkle the lemon juice over the apples and rub them to prevent browning. Pour the sugar, cardamom, saffron and water over the apples. Mix with a spatula or spoon to coat and bake in the preheated oven for 30 minutes or until the apples are tender. Remove from oven and allow to cool to room temperature. 3. 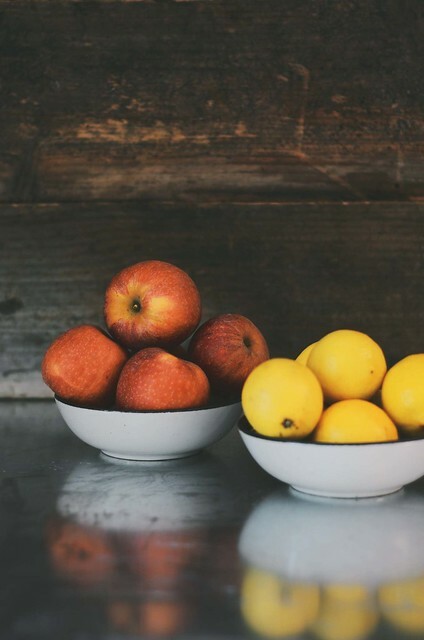 Once the apples have cooled, remove the apples and reserve the liquid that is left behind. Blend the apples in a blender with the wine until completely smooth, transfer the puree to a large mixing bowl. Stir the reserved liquid saved from the bake apples with a spoon. Transfer this mixture to a gallon ziploc bag and immerse in an ice water bath and cool for about 20 minutes or until internal temperature reaches 40F. 4. Pour the contents of the bag into a pre-frozen canister of your ice cream maker and follow the manufacturers instructions. The churning should take about 20 minutes until it comes together and freezes. Transfer the contents to an airtight container and cover the surface with a sheet of parchment paper. Freeze for at least 4 hours until firm. Serve as needed.